Rule of 6ix: Merck's mumps vaccine is good. But not good enough. Merck's mumps vaccine is good. But not good enough. It came out this week that two former employees are suing Merck (here's the document), the pharmaceutical company/giant, over what they say was a deliberate attempt to con the US government - and by extension many other countries - into buying a mumps vaccine in the form of their combination MMR-II vaccine that was not as effective as they had previously stated. As documented here this has been jumped on by a number of anti-vaccinationists but if you really look at the data from the "real world", you'll quickly see how all parties have really jumped the gun a bit on this issue and that clearly the vaccine is - and has been - working well. But it could be better. What is the case based on? The accusations go as far to say that Merck knew about a decreasing effectiveness of the mumps vaccine (due to the way they produce it by growing it in cell culture) and deliberately tried to cover it up by first modifying the way they test their vaccines but when even this failed they resorted to outright falsification of data and covering up this entire process at a number of levels. This the suit says was used an effective tool to hold on to the companies monopoly on mumps vaccine production and as an extension inhibited the development of better, safer and cheaper next-generation vaccines. Note that Merck has fervently denied the accusations and will vigorously defend itself and also this case was submitted two years previously and the US Justice Department decided not to pursue it for reasons unknown. Now I can't comment on the truthfulness of the accusations (and I don't think anyone outside of the investigation could do so), that's for a pending court case to decide but what I can do is clear up some of the misinformation going around the internet over what this actually means for public health across the world. I do agree that if it comes out that Merck did intentionally falsify vaccine effectiveness data to say that their vaccine was better than it really is would represent a disaster for the combat of infectious diseases. But lets look at the data and see if it backs up the theory that the mumps vaccine is ineffective. How do you know if your vaccine is working? Some background first: mumps is a disease caused by the mumps virus, which is closely related to measles and respiratory syncytial viruses and is spread by the respiratory route and is thus really quite infectious in humans. The major symptoms it causes are respiratory problems, salivary gland and testicular swelling. More serious complications include pancreatitis, aseptic meningitis and encephalitis and even miscarriage. But this occur at a much lower level. Yet this was one of the reasons why a vaccine was developed in 1960's by Merck employee Maurice Hilleman. The vaccine is a live-attenuated virus which was taken from his mumps-infected daughter and grown in chicken cells but after multiple rounds of replication on these cells in the lab, the virus lost its ability to cause disease in humans yet it retained the very important immunogenic properties; once exposed to the vaccine strain you would mount an immune response that would also recognise and protect against a wild strain of mumps. This is the basis of all our vaccines and it worked very well against mumps - remember that the mumps virus has nearly been eradicated (>95% reduction in cases since the vaccine was introduced). Specifically my issue with the case is this: Merck measures the ability of their vaccine to induce protection by only looking at its seroconversion rate. That is what percentage of those given the vaccine actually go on to develop measurable levels of antibodies against the virus. If 95 out of 100 people given the vaccine show evidence of mumps antibodies then that vaccine has a seroconversion rate of 95%. The whistleblowers say that this isn't true and they tried their best to forge data to say that it was with various means (look at the lawsuit for examples). The case states that this is evidence that the mumps vaccine no longer works and fails to protect people against the virus and this is why we have witnessed outbreaks recently. They can tell all this by looking at a simple yes/no seroconversion test but as I said before this is not an accurate way of looking at mumps immunity. Immunity against mumps is really quite efficient. Those infected with a wild virus will most likely never get re-infected with another circulating virus (there are lots out there). This protection is a complex trait and is most likely due to both antibody (B cell) and cell-mediated (T cell) immunity, however we do not know what actually protects against mumps. 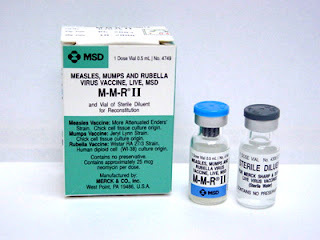 The vaccine that Merck has in its MMR-II product - the attenuated Jeryl-Lynn strain does induce an immune response that protects against the virus but we do not how, just like with the wild virus it is an open book. Thus we cannot say what level of antibody in your blood will protect you. Therefore this makes it especially difficult to assay mumps protection in the lab like Merck try to do. The only good way to do it is to look in field studies. ARV = attack rate in the vaccinated population. Using this method circumvents our unknowing of how we are immune to mumps. Now people have done this out there and published the results in full - see here. The mumps attack rate among schoolchildren was 17%. The mumps VE in schoolchildren was 92% [95% confidence interval (CI) 83-96%] and 93% [85-97%] for one and two doses of the measles, mumps, rubella (MMR) vaccine, respectively. The adjusted mumps VE among household contacts was 67% [65-95%] and 11% [-4 to 88%] against mumps and mumps infectiousness, respectively. From Snijders et al 2012. A total of 134 confirmed cases of mumps were identified. Information on receipt of MMR vaccine was available for 114 (85.1%) cases, of whom 63 (55.3%) reported having received only one dose of vaccine; 32 (28.1%) reported having received two doses. Vaccine effectiveness of one dose of the MMR vaccine ranged from 49.2% to 81.6%, whereas vaccine effectiveness of two doses ranged from 66.3% to 88.0%. If we assumevaccine effectiveness of 85% for two doses of the vaccine, vaccine coverage of 88.2% and 98.0% would be needed to interrupt community transmission of mumps if the corresponding reproductive values were four and six. From Deeks et al 2011. The aim of the study was to investigate effectiveness of mumps MMR component in communities with high MMR coverage. Outbreak-related cases of mumps born between 1995 and 2005 notified to Navarre and Catalonia public health services during the period 2005-2007 were studied. Vaccineeffectiveness (VE) and their 95%CI were calculated using the screening method. Of 47 confirmed, 85.1% immunized with at least one dose (1MMR) and 44.9% with two (2MMR). Estimated VE was 85.4% (95%CI: 67.3-93.4) for 1MMR and 88.5% (95%CI: 78.1-93.9) for 2MMR. High 2MMR coverage, improved confirmation techniques and further VE studies with all confirmed cases are needed to prevent further outbreaks. From Dominguez et al 2010. And there are many more out there - just go look. What you will easily see is that the MMR vaccine is effective at protecting against mumps disease. But there are a number of caveats with this: outbreaks of mumps are occurring suggesting that something isn't working. I've written about this before here and there are a multitude of reasons why this is occurring. For example, the vaccine effectiveness is good and clearly protective but at the lowest it has been estimated at 66% in two dose patients. It really could be higher. Maybe our vaccine was great at nearly eliminating the disease across the world but will it allow us to eradicate the virus? Or will we be cursed with outbreaks of the disease every three years across the world? Merck's vaccine is clearly great but I don't think it is great enough. But would you pay to fund the development of a new vaccine against a non-life threatening virus like mumps? Luckily the NIH is getting behind this and has recently begun funding a US lab to generate a novel mumps vaccine candidate. Lets wait and see how this pans out but hopefully a better vaccine will come of it if we ever want to eliminate the burden of mumps from across the world. Why are mumps outbreaks occurring? 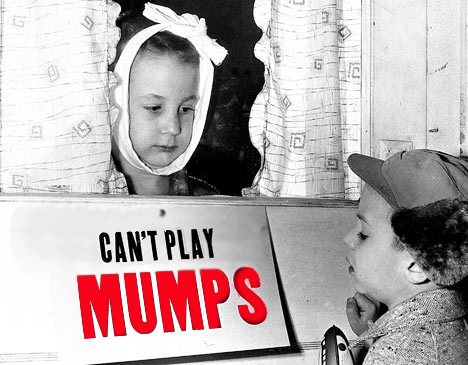 How is our mumps vaccine so safe? Do we need a third dose of MMR? A new and potentially dangerous mumps vaccine making headway into the UK again. More mumps in the UK. Are viruses evolving to escape vaccination? Nicely written. Easily understood by a layperson. Thanks Suzanne, hope you got what you wanted from my post. What could be the motives for the whistleblowers? The two whistleblowers would gain a considerable amount of money if the case was successful. I think - although I am not sure - that they could request something like 20% of the total gained. And with something like an entire countries mumps vaccine budget for the last few decades 'up for grabs' that would amount to quite a lot of money! You wrote "Thus we cannot say what level of antibody in your blood will protect you. " . The question raised by the case is more : did Merck affirm its vaccine could garantee a - 95 - seroconversion rate ? Was this rate imperative for the US authorities - at the time the vax was developped - ? I do agree with you but my post wasn't focusing on the case specifics but with the idea of using this seroconversion rate a correlate of mumps immunity. From my point of view Merck nor the FDA/US government should have been using this rate. Thank you for your answer . 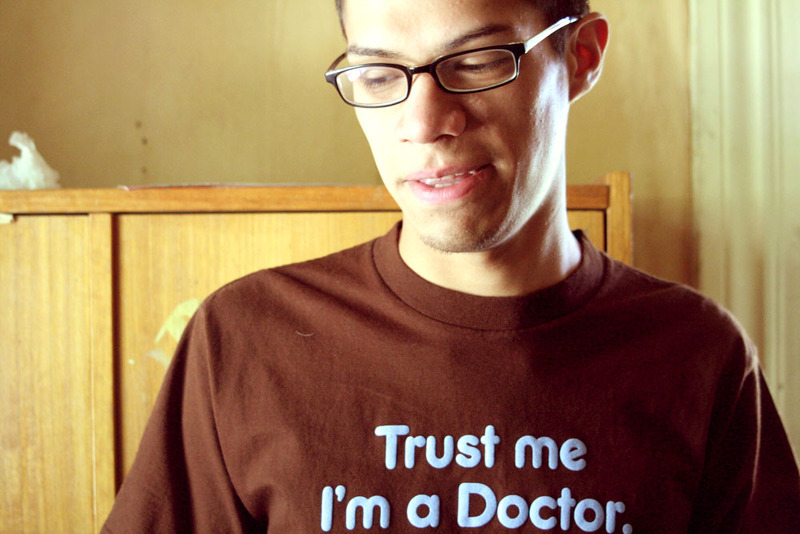 You wrote "From my point of view Merck nor the FDA/US government should have been using this rate." Hasn't this notion of seroconversion rate been widely used to assess the potency/efficacity of a lot of vaccines ? Mumps is no exception ,I would say ,isn't it ? No I disagree, I think mumps is an exception. The majority of people who get mumps in these outbreaks have antibodies against the virus through vaccination. They seroconverted yet still get infected. Maybe they are somewhat protected against the worst forms of the disease. The better way to look at it are these vaccine effectiveness studies, but they take time and effort to do correctly! And given that whistleblowers who do this, are blacklisted from ever working again anywhere within Big Pharma, because they tried to be honest, ... such an outcome isn't unfair, when speaking the truth wastes a university education, doesn't pay a student loan, and results in long term income severance. We'll let the court case decide that.